Kenan and Evangeline got married in 2011, in a gorgeous ceremony at the Georgia Aquarium. Christina has been a model for years, and she is one of the most beautiful women on the planet, so you already know they are going to make one adorable baby. It is so exciting to see that they are going to be parents. 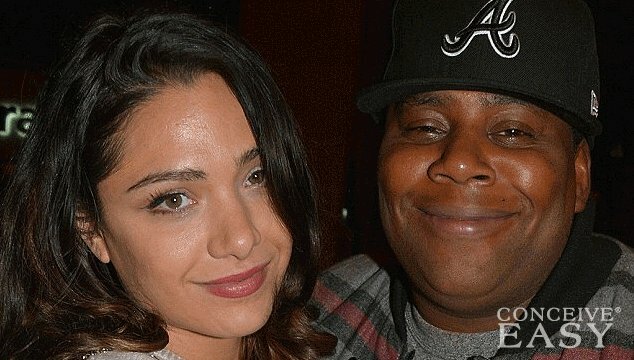 However, Kenan admits that he is absolutely petrified about the prospect of becoming a dad. Thompson announced happily on a recent appearance on “Late Night With Seth Myers”. Oh goodness, it’s obvious that Kenan still has a lot to learn. It’s okay, he still has plenty of time. We happen to think that he is going to be a great dad. Can you imagine how much he will make that baby laugh? We know he will be hilarious at all of the typical “dad events” too. He might already be getting into hot water with his wife too. He admits that he is not looking forward to being in the delivery room. he told the women in the audience that night, who cheered in agreement. What a funny guy. We really doubt that Kenan is going to head to the casino when Christina gives birth, or he would really be in the dog house. It’s plain to see that no matter what situation he gets into in life, Kenan is never going to stop making us laugh.